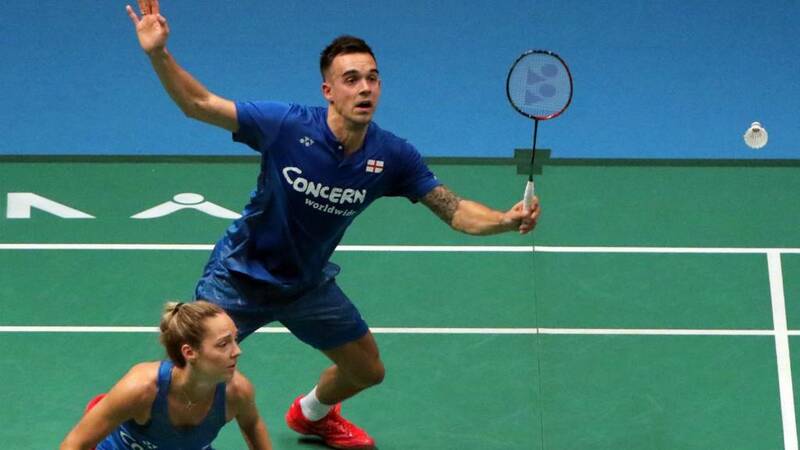 Chris and Gabby Adcock are probably the best-known faces in British badminton, having been crowned double gold medalists in the Commonwealth Games (2014 and 2018) and the European Championships (2017 and 2018). The pair, currently the only GB competitors ranked in the world top 10 (at No 6), have reached the semi-finals of the All Englands in the last two years. Great Britain has not had a win in any of the five events on offer at the All England Championships since 2005, when Gail Emms and Nathan Robertson won the mixed doubles. "Its massive - it’s the one with all the history," said Chris. "For us personally, it’s the one we grew up watching and we used to dream of playing in it." "There’s so much history behind it and we’d love to put our names on it," added Gabby, aware that the mixed doubles also provided GB finalists in 2006 and 2007. "This year – as always - we’ll be giving it our all," she said. "We [GB] have been very close in the past, nipping a final here and there, so with the crowd behind us it’s everything to play for." Current World No 1 Kento Momota of Japan comes to Birmingham seeking a first All England title and in prime form, having won a his last tournament. Momota, 24 beat compatriot Kenta Nishimoto 21-10, 21-16 in the German Open final for his fifth victory on the World Tour. Momota is returning to the tournament after missing last year’s event after serving a one-year ban for gambling – in a casino, contrary to Japanese law – after which his ranking was too low to qualify. Since then, Momota has won the World Championships in Nanjing and once again reached the top of the world rankings. He reached the All England quarter-finals in each of his three previous appearances and leads a Japanese squad with hopes of winning other events in Birmingham. In Germany, Hiroyuki Endo and Yuta Watanabe took the men’s doubles crown and Akane Yamaguchi the women’s singles. The opening day of the tournament sees 80 games played across all disciplines. British athletes will bid to become the first All England winners since mixed doubles pairing Nathan Roberts and Gail Emms in 2005. Hopeful to replicate the 2005 duo, England’s Chris and Gabrielle Adcock and Marcus Ellis and Lauren Smith are seeded 6th and 7th respectively in the mixed doubles. Chris Adcock and Marcus Ellis are also in men’s doubles action. The 2018 Commonwealth gold medal winners take on Indonesia’s Mohammad Ahsan and Hendra Setiawan. 2016 Olympic quarter-finalist and British number one Rajiv Ouseph faces Tommy Sugiarto of Indonesia in the men’s singles while Scotland’s Kirsty Gilmour has a first round tie against number 8 seed Saina Nehwal of India in the women’s singles.